2018 is already shaping up to be a big year for 20th Century Fox‘s X-Men franchise, with three planned releases including The New Mutants on April 13, Deadpool 2 on June 1, and X-Men: Dark Phoenix on November 2. Now the studio is betting big on the future of their Marvel movies as they’ve set six release dates for untitled films. The new dates include: June 7 and November 22 in 2019; March 13, June 26, and October 2 in 2020; and March 5 in 2021. Only a few of these dates have conflicting competition on or near them. The June 3, 2019 release date is also home to the upcoming Charlie’s Angels reboot from Elizabeth Banks, while the November 22, 2019 release arrives just five days ahead of the highly-anticipated Frozen sequel. In addition, the March 13 release will debut the same day as an upcoming untitled Pixar film. It remains to be seen what these untitled films will eventually end up being, but possibilities include Deadpool 3, X-Force, a New Mutants sequel, and even further base X-Men films. 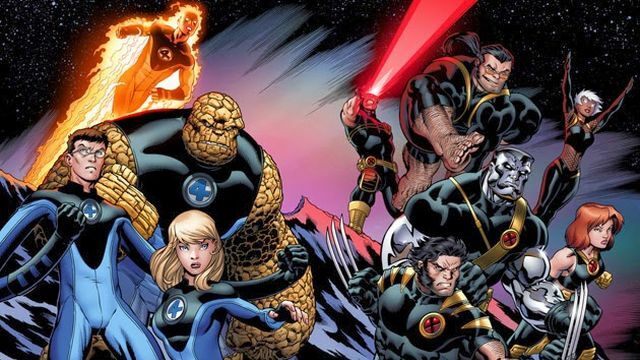 There’s also the chance that Fox would try another go at bat for the Fantastic Four, who were rebooted just two years ago (and whose previously-set sequel release date came and went earlier this month). What Marvel movies from Fox would you like to see fill these slots? Sound off in the comments below!